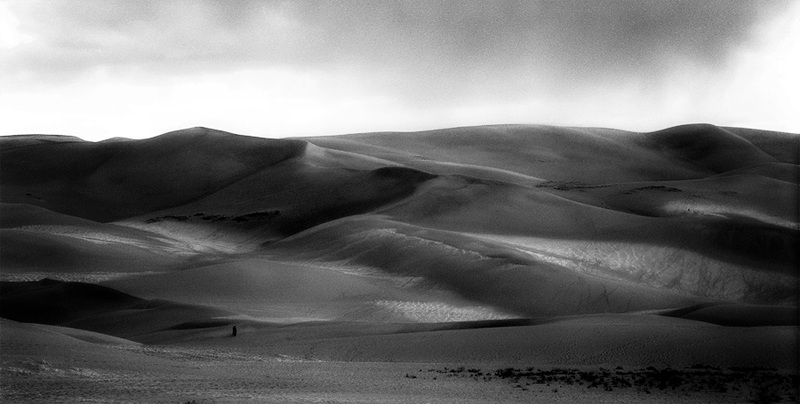 Another scan from the lost negatives, Sand Dunes National Monument, San Luis Valley, Colorado. If you told me the Sahara desert I wouldn't know the difference. Very beautifully captured. WoW! Great BW Love the layers and lines. The light hits the sand in interesting ways. I agree with Rian – frame it!! It is stunning! This is such a beautiful image. the shadows really make it. Was this just due to time of day, or were there clouds causing this as well. Very well done, a shot to be proud of for sure. Magnifique, cette mer de dunes! Beautiful capture of these fascinating sand dunes. Excellent use of light and great BW contrasts and tones. Absolutely fantastic shot. I don't think I would ever get tired of looking at this. This is a really lovely image-the b&w suits this perfectly. Beautiful B&W tones, a very luminous image. Gorgeous shot. I love the play of light and shadow across the dunes. This is one of those minimalist shot that you can look at for hours. breathtaking view! very nice work in b/w!